Precious metals, widely recognized as the centerpiece of jewelry, have been the hallmark of personal adornment throughout history. From the Egyptians to the Romans, the use of platinum, silver, and gold has been admired as décor. Modern jewelry consumers are no different. While gold continues to be the most commonly purchased form of high-class jewelry, platinum and silver are extremely popular as well. All three provide jewelry consumers with an attractive and durable base metal for glamorous jewelry. 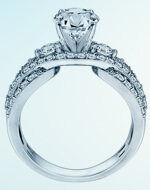 Platinum is quickly becoming a very popular metal to use in jewelry, especially wedding bands and engagement rings. Platinum is a much more durable metal than gold or silver. Since it is resistant to tarnishing and never wears out, platinum is used by a plethora of jewelers in every kind of jewelry. Platinum is more expensive than gold and the value of it also fluctuates more than gold. Platinum is one of the hardest metals found on earth. It has a few other similar metals in its category, but platinum and palladium are the most common found today. Platinum is beautiful silver in color and goes well with just about any gemstone. Platinum is found all over the world, but it was first discovered in Colombia. It looked a lot like silver, so the Colombians named it Platina del Pinto. Kings and rulers all around the world valued platinum for its durability and beauty. 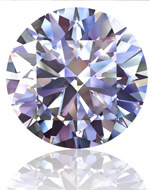 Some of the world's most famous gemstones, like the Hope Diamond, are now secured in platinum settings. This speaks volumes for platinum enthusiasts everywhere that one of the most expensive diamonds in the world is safely set in platinum for the world to admire and enjoy. Gold jewelry has always been in high demand. 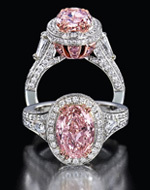 It can be paired with just about any stone and will be just as gorgeous, if not more, than any other metal available. The value of gold fluctuates from day to day, but it is at one of its highest points today. 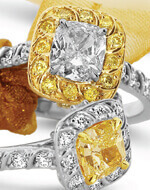 There is absolutely no doubt that gold has always been a popular metal among jewelry connoisseurs. It does not matter if you are in the market for a gold bracelet, ring or necklace, this is a timeless metal that will never leave the public eye. A great way to get the most bang for your buck is by purchasing gold in its various colors. The most popular colors of gold are white and yellow, however some other colors have worked their way into the jewelry industry's grid. 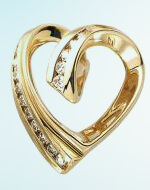 Gold jewelry has been popular since ancient times. Pharaohs and Kings were always seen lavishly decorated with gold headbands, bracelets and rings and were even buried in the same luxurious pieces of jewelry. This precious metal has always been associated with wealth and affluence. There is something to be said about gold when such prominent and wealthy figures are buried in their finest gold jewelry. Palladium is growing in popularity among jewelry enthusiasts everywhere. This lustrous metal is silvery-white and was discovered in 1803 by William Hyde Wollaston. Most of the world's supply of palladium is used to make car and engine parts, but there has been an influx of palladium in jewelry making recently. It is no surprise this metal is ideal for jewelry because it is light weight and is hypoallergenic. It is one of the three most popular alloys for white gold. The chemical symbol for palladium is Pd and it is a somewhat soft metal. It can be flattened into very thin leafs just like gold. This attribute makes it easy to work with and very versatile. Its many uses is why it is growing in popularity. Palladium is in the group of platinum metals because they share similar characteristics. It is the least dense of the group and also has the lowest melting point. It is wise to always take your palladium jewelry off before swimming in a pool that contains chlorine because it will compromise the integrity of your ring. 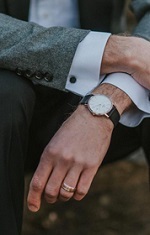 It is also wise to store your palladium jewelry in a soft cloth to prevent it rubbing into other pieces of jewelry that could result in scratching.. Jewelry and silverware are traditionally made from sterling silver (standard silver), an alloy of 92.5% silver with 7.5% copper. Most every little girl has always been in awe of her grandmother's silver. Taking a trip to grandmother's house meant experiencing a new world of fashion and maybe even antiques. This silver can come in the shape of teapots, cups, bracelets, necklaces, rings and every other kitchen accessory you can imagine. Any girl would be lucky to have the opportunity to indulge in the luxury of such a meaningful family heirloom. It is always a glorious occasion when you inherit such fine pieces of jewelry. Silver has been dazzling the masses for years and years. Silver is the industry standard for jewelry and the go-to metal for individuals everywhere. Silver must be at least 90% pure in order to be classified as silver jewelry. Often, silver is plated with a thin and almost completely pure coat of silver in order to give it the shiny finish we have all grown to love. Some other metals that can be used as a finish for silver can be gold or rhodium. Since it is so remarkable and diverse, silver can be used to accessorize any outfit, whether the outfit is casual or formal. 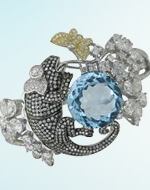 Its versatility has surely led in its ongoing popularity among jewelry enthusiasts today.